Last week, the drug 11-beta-MNTCD, a male contraceptive pill, was introduced at the Endocrine Society annual meeting. There has been a lot of efforts in both the scientific and medical communities to develop male birth control in recent years. Dr. Christina Wang, associate director of the Clinical and Translational Science Institute at the Los Angeles Biomedical Research Institute, noted how this new pill works to mimic testosterone’s effects, but does not allow for sperm production in the testicles. Dr. Wang then also predicted that this pill will not actually be able to be sold in the market for another decade due to the need of much more research and specific trials testing the pills effectiveness. 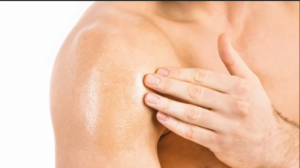 In addition to the production of pills, the idea of a contraception through a body gel that men apply to their back and shoulders where it is absorbed by their skin is also being researched and made for trials. The production of the hormone progestin is prohibited through the gel which also works to block the production of testosterone for males. The overall goal of male birth control is to lower hormone levels to a point where they will stop sperm production for the moment while at the same time not triggering other side effects. In present day society, there is a very large demand for male contraception in efforts for family planning—the market for a pill or gel is only rapidly growing.